Over the last 24 hours, Syrian forces have launched an offensive against Daesh* terrorists holding an area of the southern Golan in Syria, striking the villages and towns of Tasil, Saidah, Sahyun and Shabraq, The The Jerusalem Post reported. The fighting was visible to both tourists and locals at Tel Saqi, a dormant volcanic hill in the southeastern part of the Golan Heights. 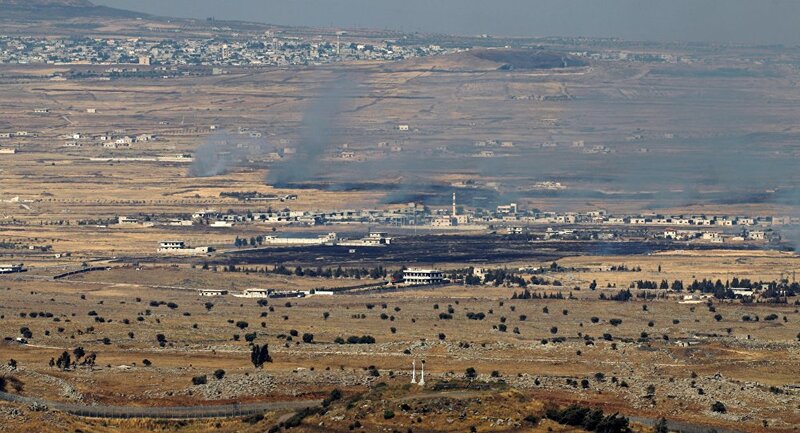 On July 16, the Syrian Army reported capturing a strategic hill near the Golan Heights in an operation to mop up remaining pockets of resistance, which put Israeli forces on high alert. Damascus earlier reached an agreement with non-Daesh affiliated militants in the southwest on their evacuation to northwestern Syria, making the latter the last major rebel stronghold in the country apart from US-backed Kurdish-governed areas in the country's northeast.